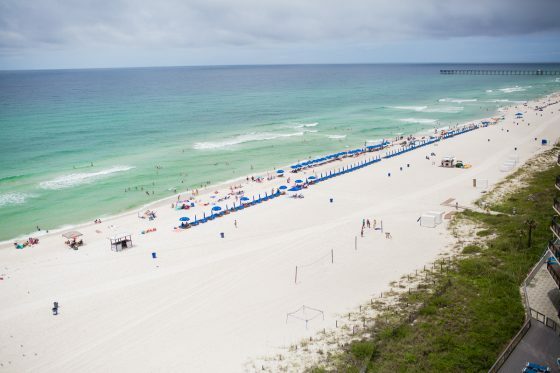 Panama City Beach, known for its 27 miles of white, sandy beaches, nestled up against the Gulf of Mexico’s beautifully glistening waters, is a popular vacation destination for not only bachelor and bachelorette parties and spring breakers, but also for families. 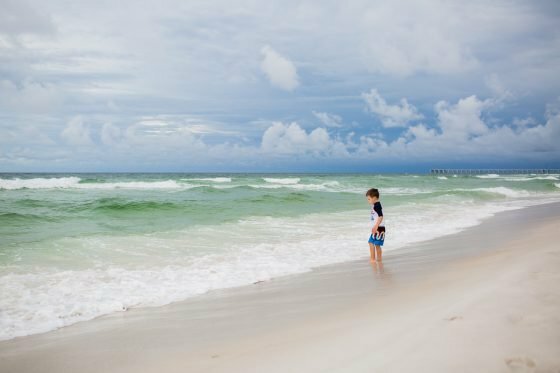 Along with the bustling, wide beaches are multitudes of activities – both indoors and outdoors – in this Florida beach town that are perfect for families with children, from toddlers to teens. 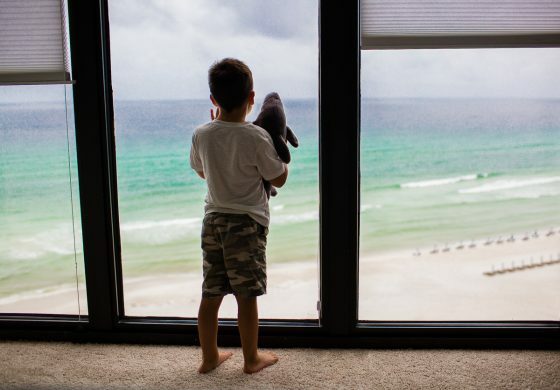 If you’ve decided to pack up the family and hit the road or the skies for a week or weekend beach trip, then be sure to check out the only full-service resort offered in Panama City Beach, the Edgewater Beach & Golf Resort. 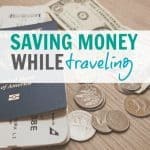 You shouldn’t let a vacation rob you of your life savings, especially if you need more than one room because you’re bringing the.whole.family along. 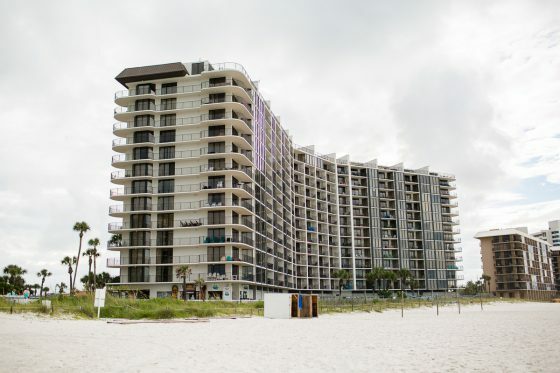 Although the Edgewater Beach & Golf Resort is far from a luxury resort, it’s an amazingly budget friendly way to enjoy the beautiful beaches and town of Panama City Beach. 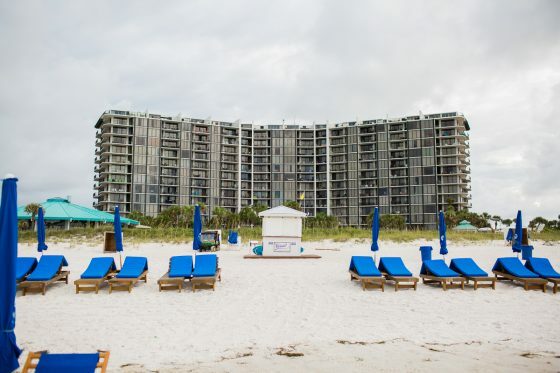 And once you see what all this resort includes, you’ll be surprised you’re not paying way more! 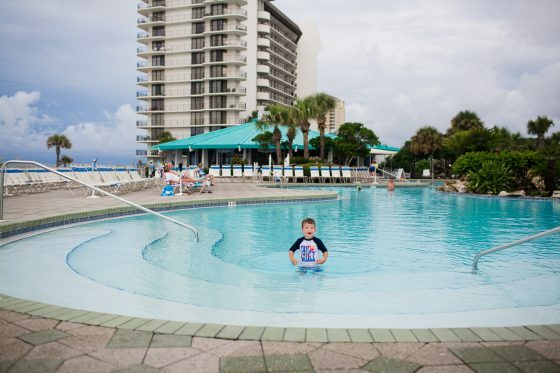 The Edgewater Beach & Golf Resort grounds are spacious, and with over 500 suites, you can see why! 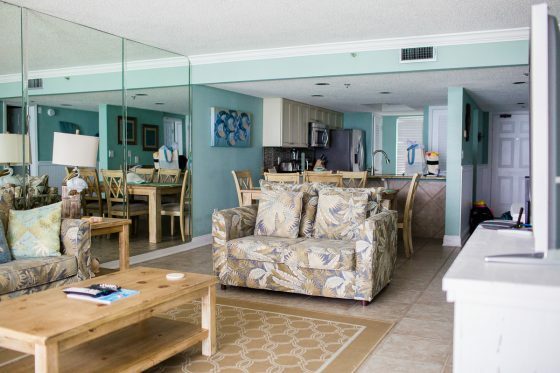 There are Tower Suites which are beachfront and give you gorgeous views of the Gulf of Mexico from their floor to ceiling windows, Golf and Tennis Villas which allow you more privacy while still keeping you connected to the many amenities the resort offers, as well as Leeward & Windward Suites which also give you ocean views, yet on a lower level with private beach access. 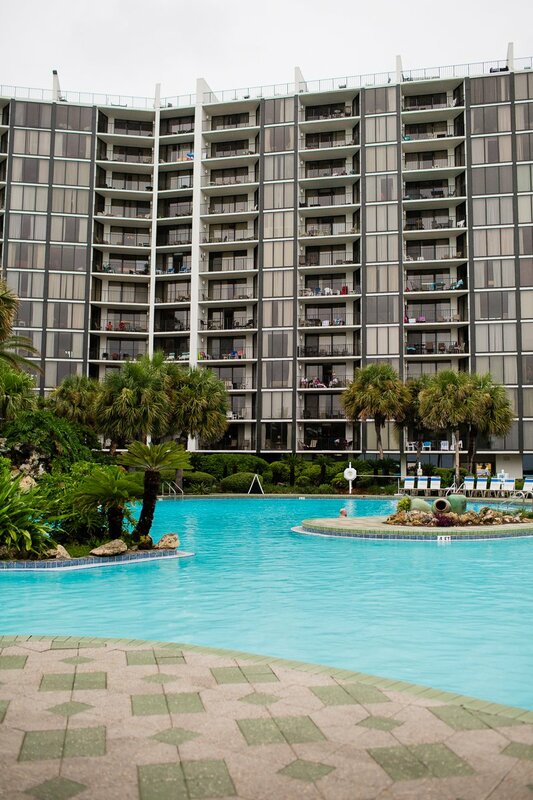 No matter where you are staying on the vast property of the resort (110 acres to be exact! 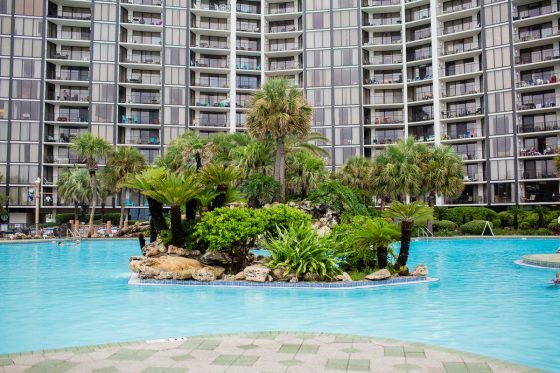 ), you can easily access all the pools, restaurants, activities, and services, either by foot or by shuttle, making this large resort feel a bit smaller. 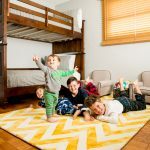 As every room is a suite, it’s ideal for family vacations, whether you’re traveling with a modest family of four or the whole crew of ten. 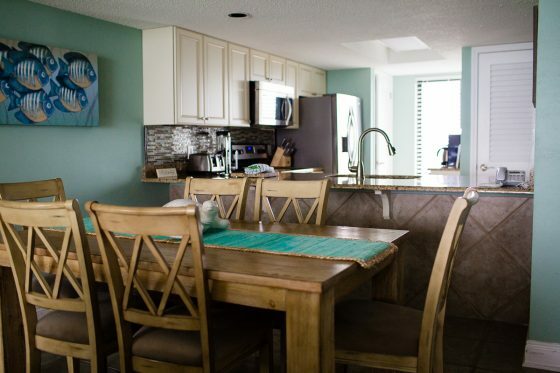 Choose from a one, two, or three bedroom suite or villa, and enjoy private patios and balconies, a full kitchen with all the works, a washer and dryer for beach days made easy, linens, towels, and pillows, toiletries, and more, making your home away from home comfortable and familiar. 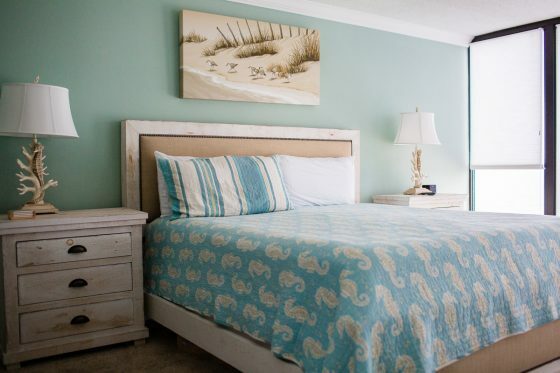 Once you have a place to rest your head at night, leave your suite doors and explore everything the Edgewater Beach & Golf Resort has to offer, and trust us, it’s a lot! 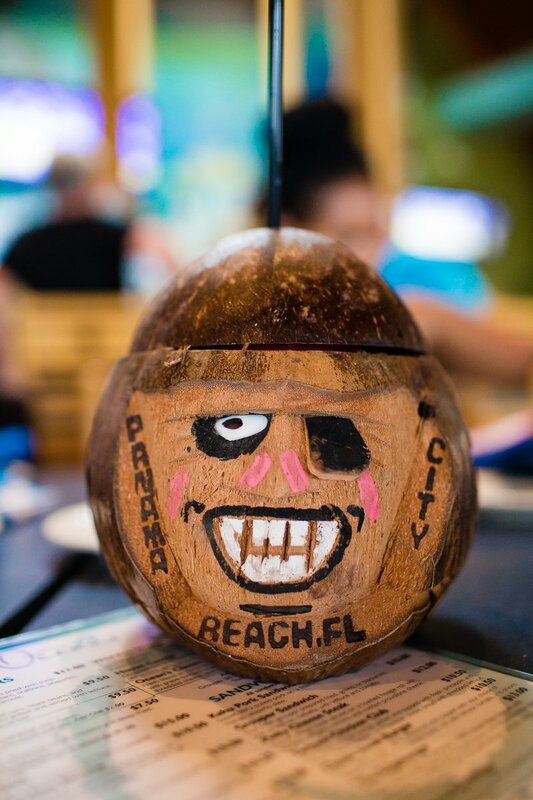 You came to the beach for the beach, right? 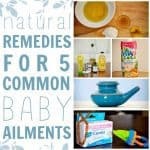 And with good reason! 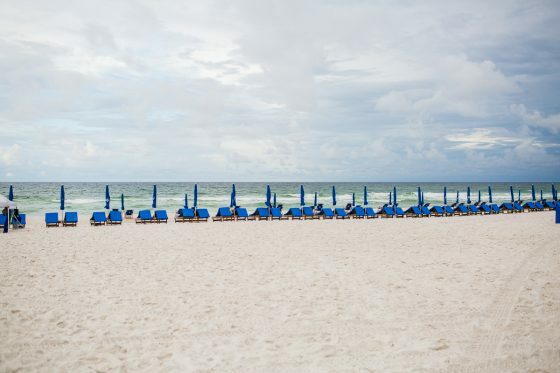 Even if you simply spend your entire vacation week beached on a chair, under an umbrella, with the waves tickling your toes, we’d consider that time well spent. 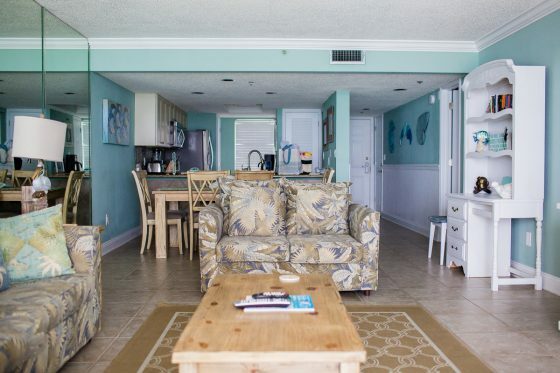 You can easily do that at Edgewater Beach & Golf Resort, as they provide an amazing amount of padded lounge chairs and umbrellas for daily rentals, just steps away from your room, on their half mile private beach. At night, take advantage of the soothing ocean waves and twinkling stars by hosting your own family beach bonfire. 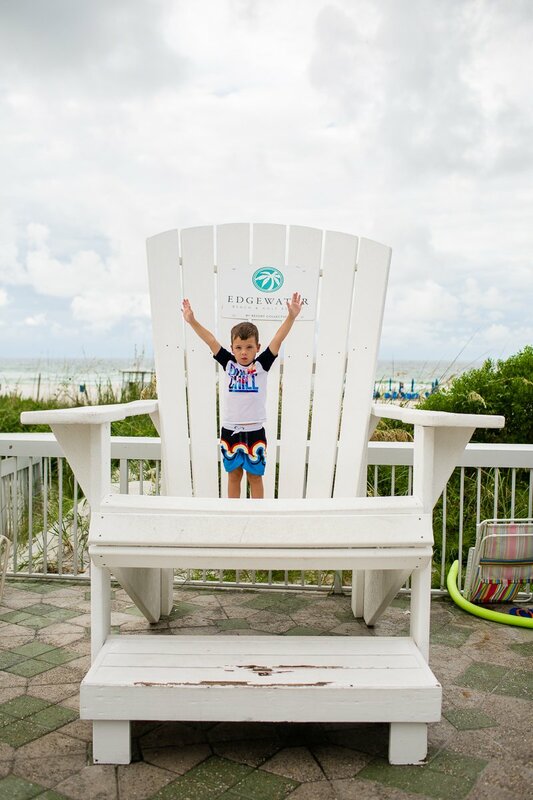 Rent a whole setup kit through Edgewater Beach & Golf Resort, and enjoy s’mores and hours of laughter, bonding time, and even your favorite tunes. 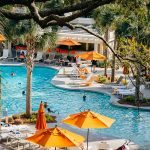 If you’re feeling a bit too sandy, then head to one of the 12 swimming pools, including the massive 11,500 square-foot Lagoon Pool, four hot tubs, or the Splash Pad spread around the resort property. 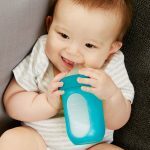 With so many water options, you won’t feel overcrowded or claustrophobic, and there’ll always be a chair available to spread out on. 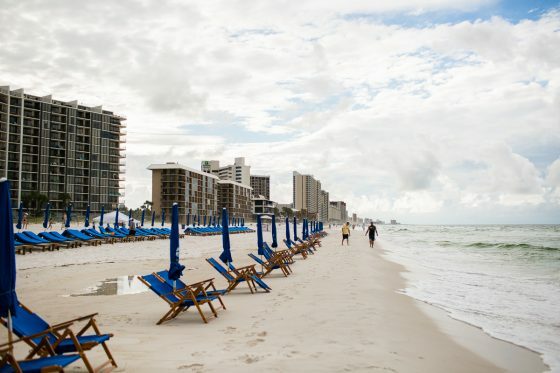 If sunbathing for hours at a time isn’t your cup of tea, then get your adventure on by choosing any number of watersports that are offered through Edgewater Beach & Golf Resort, including but not limited to jet skis, parasailing, kayaks, paddle boards, skim boards, surfing, sailboating, and more. 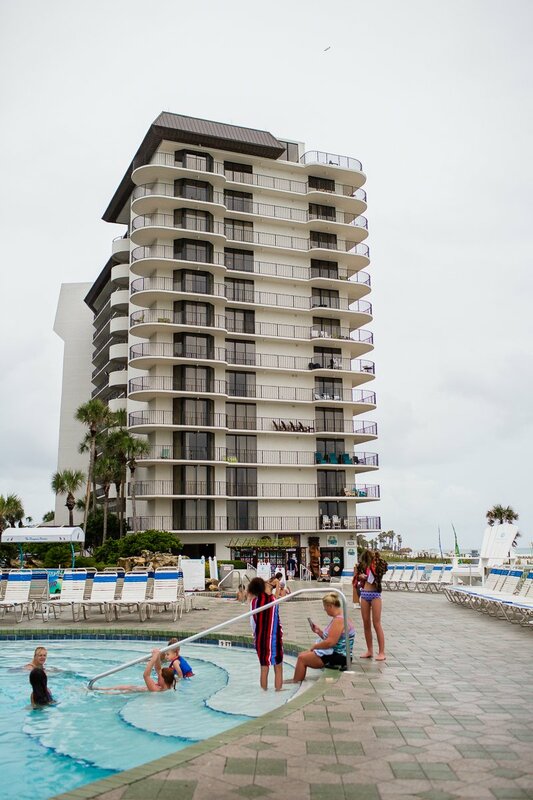 For the tennis pros who came to the beach to swing a racquet, you’ll be happy to hear that there are ten all-weather Plexicushion tennis courts to play on, with some lighted so even the darkness can’t stop the swings. Check out the pro shop to get all your gear, take a couple tennis lessons to improve your game, and earn your suntan in the best way possible. 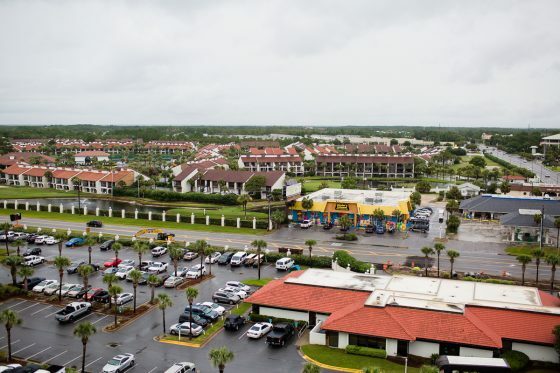 The Fitness Center in The Club at Edgewater Beach & Golf Resort offers classes to its guests, including yoga, pilates, step, and aerobics, and contains a limited variety of low impact equipment to use. This golf resort boasts a par-3 9-hole executive golf course, with very reasonable pricing, and a complete pro shop with gear rental, so leave the clubs at home but still partake in a round or two. Check out the nearby Hombre Golf Club for more golfing fun and for in-depth clinics guaranteed to make you leave the beach with a better swing! 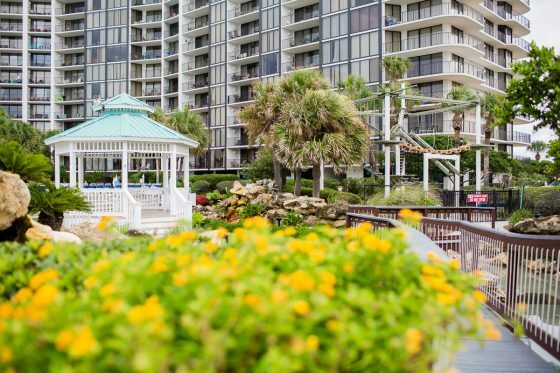 Enjoy a peaceful massage, body wrap or exfoliation, or a foot therapy session at the Edgewater Beach & Golf Resort spa in The Club. 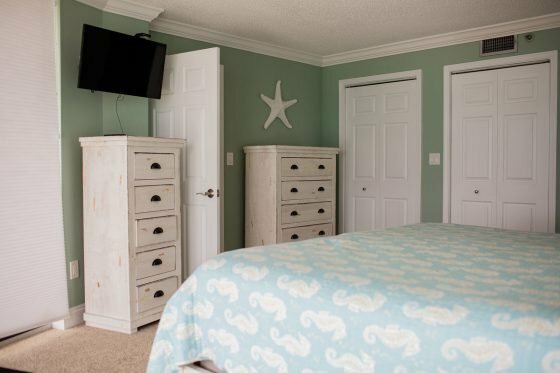 If you choose right, you can even enjoy your treatment in the privacy and comfort of your suite. 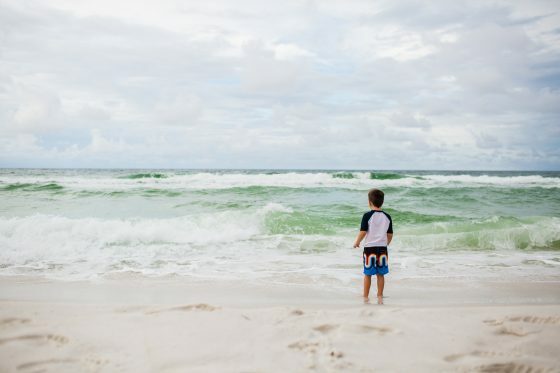 Designed especially for kids, the Adventure Zone gives kids an amazing outlet to enjoy all that the beach has to offer, and it’s all included for free for Edgewater Beach & Golf Resort guests! 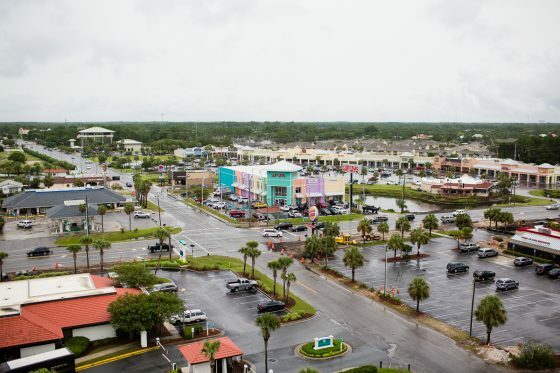 A sneak peek at just some of the activities that are offered through the Adventure Zone are the Splash Pad, Sky Trail ropes course, Discover Scuba, Dive-In Movie, and Mr. Surf’s Beach Adventure. There are daily activities for the whole family to enjoy, so be sure to pick up an activities calendar during check in so you can choose your favorite things to do, and get the most out of your beach vacation. 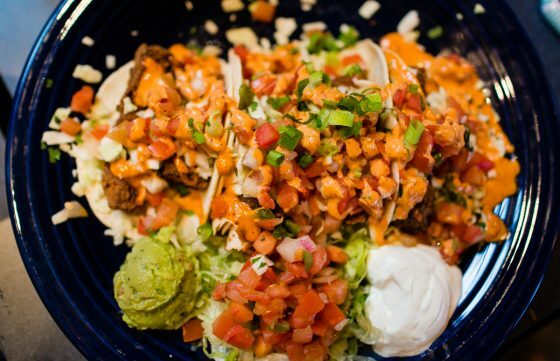 Ah food… everyone’s favorite part of vacationing. 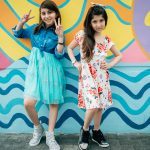 No meal planning, no grocery shopping, no hot kitchen slaving away over recipes that your kids will inevitably turn their nose up to… just choose a place, show up, and enjoy a fulfilling and delicious meal that someone else put their heart and soul into. 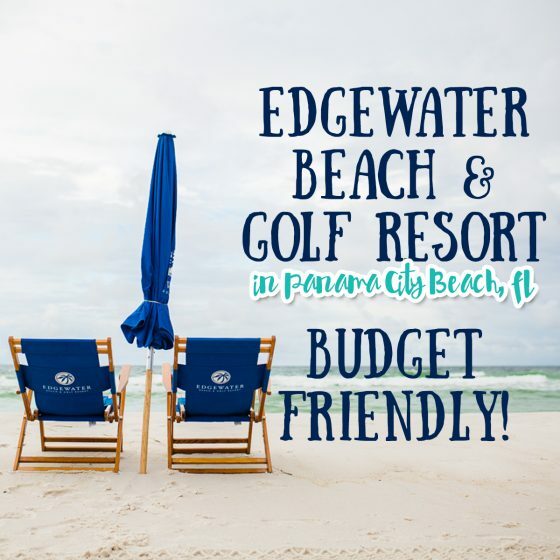 At Edgewater Beach & Golf Resort, your options are plentiful. There’s no need to even leave the premises to enjoy a hearty breakfast, a quick lunch, a refreshing afternoon ice cream, or a romantic dinner. 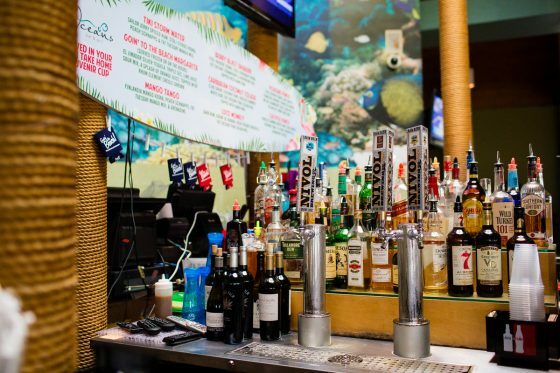 Located adjacent to the Lagoon Pool and Splash Pad is the beachfront Ocean’s Bar & Grill where you can dine indoors or out, at the tiki bar or on your poolside lounge chair. 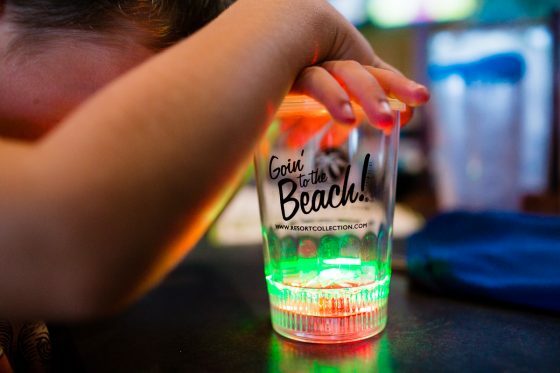 Order a daiquiri in a souvenir coconut head cup, enjoy some live music, and watch the kids “light” up with excitement at their included flashing light cup and frisbee plate. 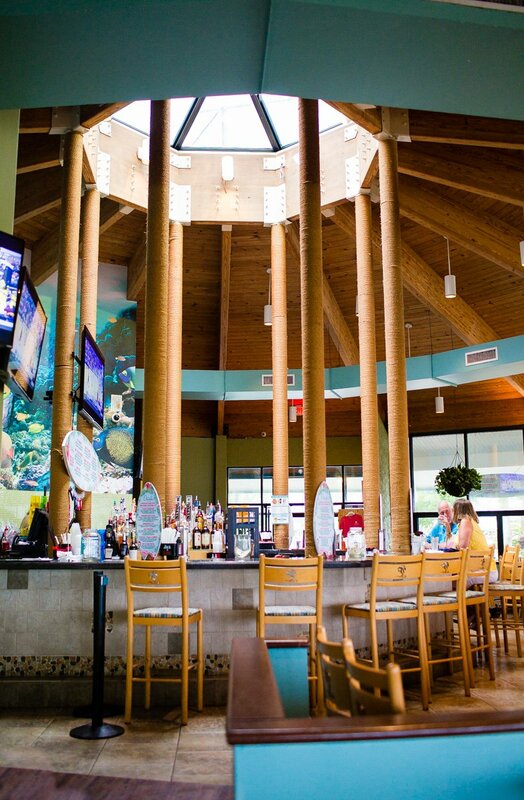 This is the place to be for breakfast, lunch, and dinner. 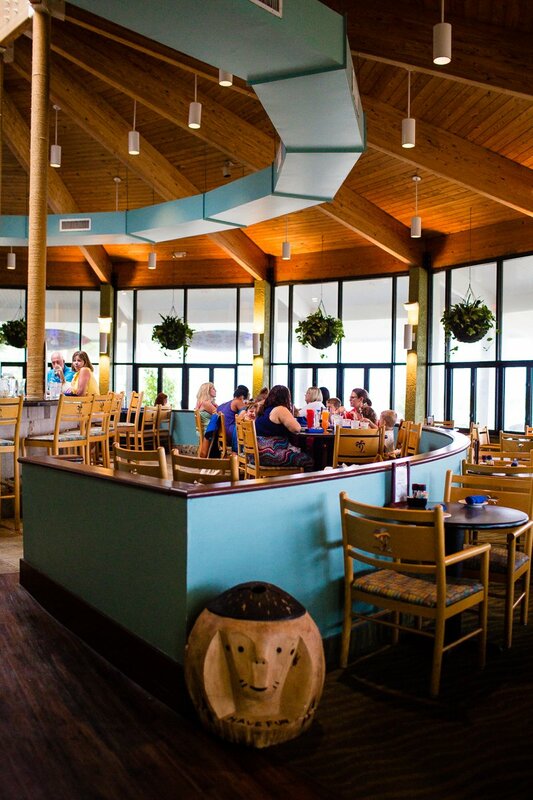 Also next to the Lagoon Pool is the pizza joint Paradise Pizza, great for quick lunches and pick-me-up snacks. 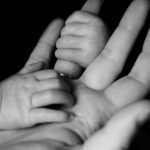 Grab a personal size pizza for the kids and a yummy calzone for you. 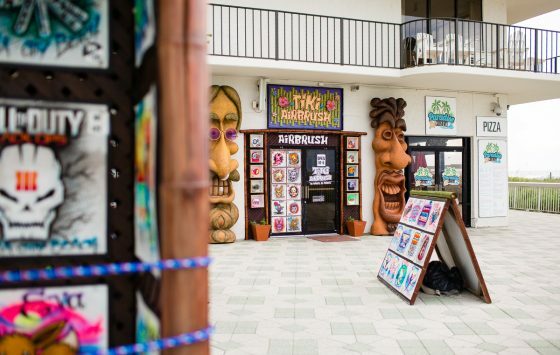 Be sure to pop in next door to the Tiki Airbrush shop while your pizza cooks and choose a couple notorious beachy airbrush tees for the trip home. 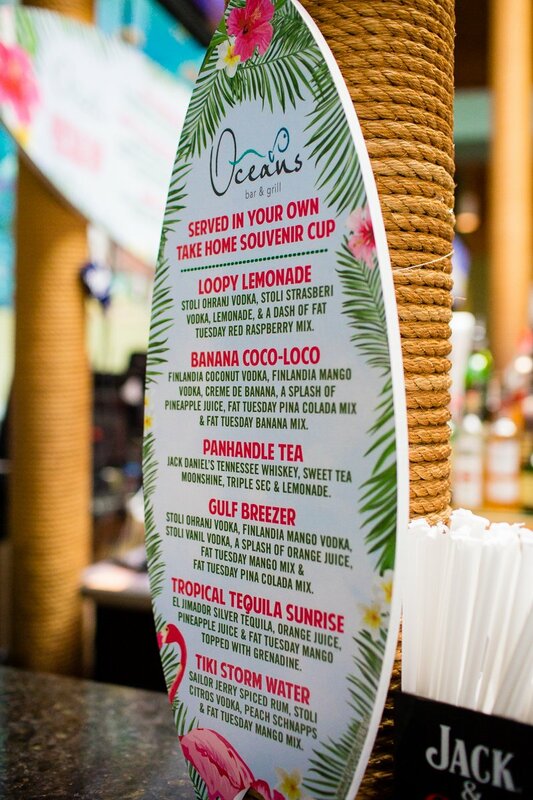 Situated right next to Ocean’s Bar & Grill is Blenders, serving… you guessed it… blended frozen drinks by the dozen to thirsty sun bathers. For an ice cream or coffee fix, stop on by Edgie’s Corner Market and grab a fresh Starbucks brew or some cool ice cream. 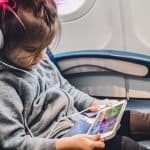 When the drinks have been flowing too fast or the kids are passed out prematurely and you’re stuck inside your suite, don’t sacrifice your hunger. 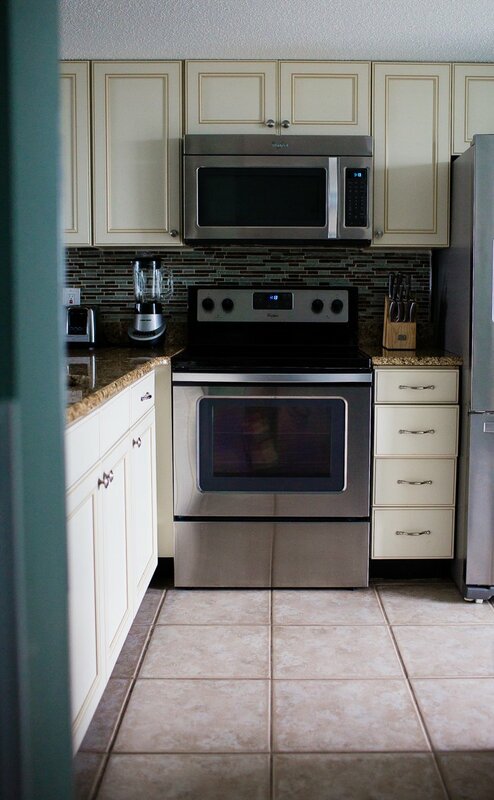 Call up room service and order up some grub to eat while sitting on your balcony, watching the sunset. 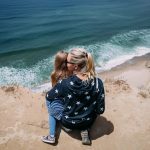 Make your next family beach vacation easy as can be in the way of planning, budgeting, and doing. 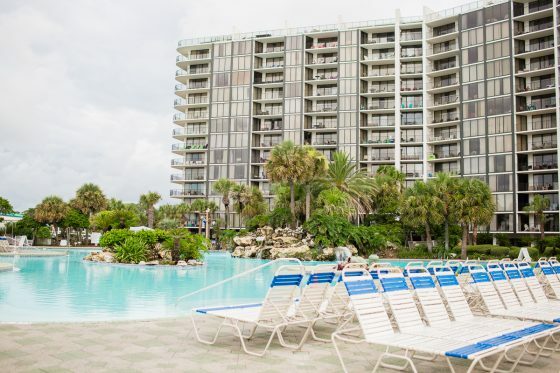 Whether you live down the street and need an escape from reality or live across the country and want a little Florida sunshine, make the Edgewater Beach & Golf Resort your next place to visit. 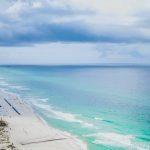 Want to venture off property to see what else Panama City Beach has to offer in the way of food? 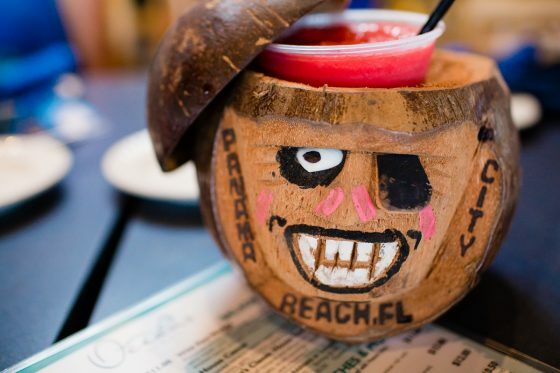 We’ve got you covered with the Top 5 Family Places to Eat at in Panama City Beach, Florida!